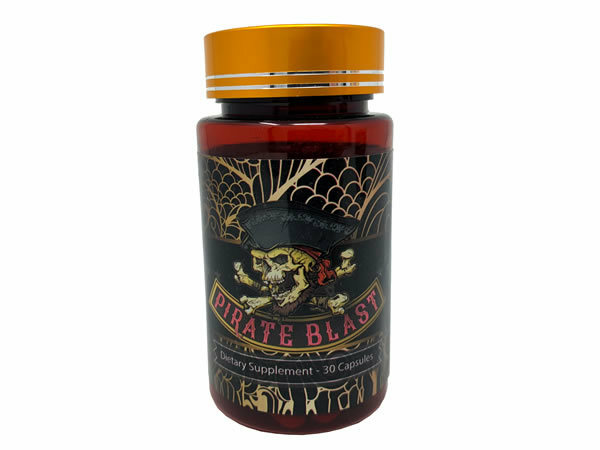 Pirate Blast is a natural nootropic product. The Pirate Blast formula is specially tweaked to improve efficiency and contains: Guarana seed extract, Yohimbe extract, Maca extract, Rhodiola extract, and Huperzine A. 30 servings per bottle.